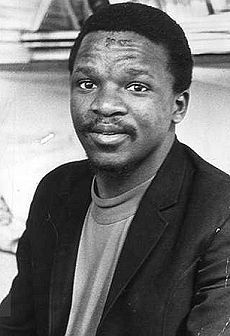 1 February 2014 marks the fortieth anniversary of the assassination of Onkgopotse Ramothibi Abram Tiro way back in 1974, while he was exiled in Botswana. This writer has previously written about the life and times of Tiro in Mayihlome News and other publications. This time around I will focus on trying to bring to book, so to speak, those who were responsible for Tiro’s death and also make readers understand why the killers of Tiro got away with murder in the so called ‘new’ South Africa. I will let the facts speak for themselves. In my previous articles I mentioned that the author of the book Inside Boss (1981), Gordon Winter, who is a former Bureau of State Security (BOSS) wrote that Tiro was killed by The Z-Squad. The following extract from the Truth and Reconciliation Commission (TRC) Report, Volume 2, Chapter 2, at page 99, corroborates what Winter revealed in his book. I have previously stated that another South African spy, Craig Williamson, who had infiltrated the ANC, worked for the IUEF. In one of my articles on Tiro in Mayihlome News, a relative of Tiro’s, Ratanang Tiro posted a comment to the effect that the late Tiro’s mom passed away not having known who the killers of his son were because they never came forward. Unfortunately it would seem the ruling ANC provided them with a cover because of the secret deals clinched between the ANC and the former Apartheid government officials. I encourage readers to look for John Judge’s interview on the internet and read it in its entirety. They should also search and read John Judge’s Good Americans article to learn more about the Gehlen Network and its nefarious ways. One would have expected that when the so-called new South African government came to power twenty (20) years ago, it would search for the records of these fascist Nazis and prosecute those that they could find for the atrocities they have committed, including political assassinations. Colonel Huyghe, a Belgian rogue who shot Patrice Lumumba on the temples has been living in South Africa for the past fifty (50) years. Interestingly, the ANC government is not bothered by this. Perhaps many people are asking themselves why the ANC government is protecting these white supremacists. I have already alluded to the secret deals the ANC and Apartheid government officials signed and agreed that the ANC would not expose Apartheid war criminals and while the former Apartheid government officials would not expose who, among the ANC leaders, were spies, key amongst them Nelson Mandela, who was named a British M16 spy in the book MI6: Fifty Years of Special Operations, authored by the acclaimed intelligence expert Stephen Dorril and another book, The Big Breach by Richard Tomlinson. The Black Consciousness organizations and the Pan Africanist Congress (PAC) of Azania must demand justice for the Tiro family.